“You’re clearly the conservative in this race,” announced right wing radio host Charlie Sykes, while interviewing and throwing bouquets to Rebecca Bradley for her race against Janet Protasiewicz. After all, Bradley donated $1,300 to Scott Walker in his campaigns for governor, and Gov. 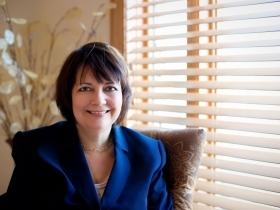 Walker returned the favor, appointing her a circuit court judge in November. With supporters like that, Bradley must be a conservative, right? Sure, Bradley has been endorsed by the Milwaukee Police Association and the Milwaukee Deputy Sheriffs Association, but they might simply be going along with Walker on this. Cops typically side with prosecutors. One sign of this is that two non-liberals who are close to the police, ex-cop Judge John Siefert and law-and-order Alderman Bob Donovan, both support Protasiewicz. If you’re going by endorsements, Bradley has the support of lots of conservatives, including Republican legislators Alberta Darling, Mark Honadel, Daley Kooyenga, Jim Ott, Jeff Stone and Joe Sanfelippo and three of the more conservative Milwaukee County Board members: Deanna Alexander, Jim “Luigi” Schmitt and Steve Taylor. And Protasiewicz is supported by AFSCME, Milwaukee District Council 48, and a long list of Democrats, from Mayor Tom Barrett to Congresswoman Gwen Moore, state Sen Chris Larson and Milwaukee County Board Chairwoman Marina Dimitrijevic. Protasiewicz signed a recall petition against Walker and demonstrated against his policies at the Capitol. She got involved in Democratic politics as a teenager taking a job with U.S. Rep. Clement Zablocki (who was a conservative Democrat, by the way), but dropped out of the party after she sought the judge’s position. Bradley once belonged to the Republican National Lawyers Association. She also served as President of the Milwaukee chapter of the Federalist Society, which opposes judicial activism (but there are Democrats who’ve joined the group). The Milwaukee Bar Association isn’t much help, rating them nearly equal: Bradley drew more votes of “qualified” (with 297 votes to Protasiewicz’s 236) but also more votes of “unqualified” (54 to 48 for Protasiewicz). Both claim more experience, Protasiewicz by virtue of her many years handing criminal cases and Bradley because she’s heard “hundreds of cases” in her brief tenure as judge. The candidates are even spending about the same amount of money. Ristow estimates that both campaigns will spend about $150,000. However, Bradley has gained the support of the Club for Growth, which favors limited government, and ran ads supporting her which Protasiewicz’s campaign estimated were worth $167,000. Can a circuit court judge really do much to limit the growth of government? It’s possible the Club for Growth was thinking more long-term. The fear of some Democrats — who might see Bradley as an acceptable circuit court judge — is that she could later become an attractive choice for the state appeals court or even supreme court. Bradley is the clear favorite, Even the Protasiewicz campaign seems to think so, given that they’ve run a negative ad against her. Ristow notes that Bradley won 59 percent of the primary vote to 29 percent for Protasiewicz. “The only municipality she lost,” he adds “was Shorewood.” And modestly liberal Shorewood has rarely been a bellweather for the county. This is a nice case study of how the current calculus applied to from the left and the right makes no sense. These two candidates can judged on their merits without all baggage and negative ads politics brings to the table. This article convinced me to vote against Bradley because she looks too much like my mother. I would think if one wanted to keep the politics out of this Protasiewicz would have refrained from signing the Walker recall and Bradley would have refrained from donating to Scott Walker. Both are pretty overt acts of partisanship. It’s not like Bradley was a business owner who was splitting up her donations to curry the favor one needs to grow and expand a business and signing the recall is a pretty proactive political statement. 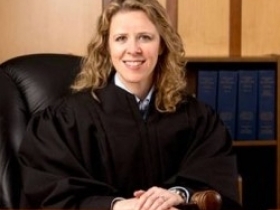 Then again, maybe she’s like the Ozaukee County Judge who didn’t know what he was signing. Wow !!!! Based on Janet’s last 24 hours and her and Falone on TV and working the UNION polls very clear age is VERY far from a conservative …, I think your article is a farce and you are a bad journalist ! Do you have any further thoughts on this in light of intervening events?